Stop me if you’ve heard this one. A Greek, an Australian, and an American log into a forum. “Hey,” says the Australian. “I’ve got an idea for a free adventure game we can make in six months!” “Six months! I can write the story in three weeks,” says the American. “If I’m coding this, it’ll be done by Christmas,” the Greek promises. And, whaddya know? It is done by Christmas… three years later. Anyway, the joke always seems to be on us. 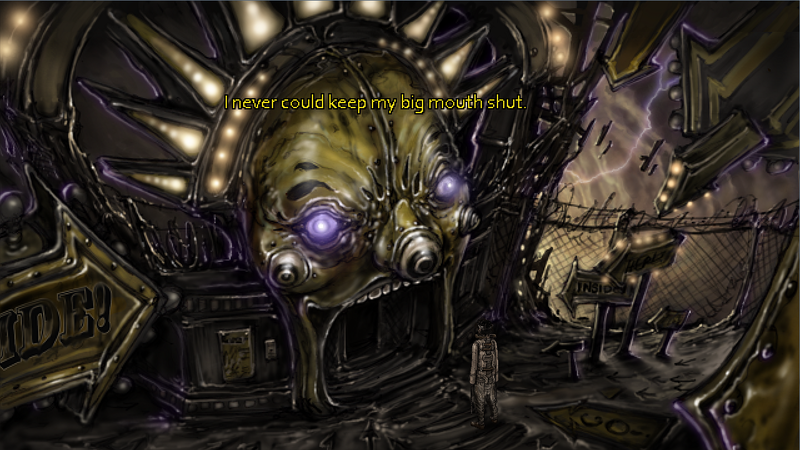 About a year ago, for some now-forgotten game jam, Vic, James, and I decided to get the band together again, to make a quilt-like game from the scraps of other projects, ongoing and abandoned: some Norse mythology from Fallen Gods; some visuals from Trenchmouth; some code from Cloudlands; some themes and imagery from all around. (The working title was The Wretched Refuse.) The thread to stitch these together would be various still-raw personal tragedies. “Surely, there is no risk whatsoever of bloating if we took our favorite castaways from other projects and bound them with our unresolved intimate feelings, right?” thought no sane developer ever. 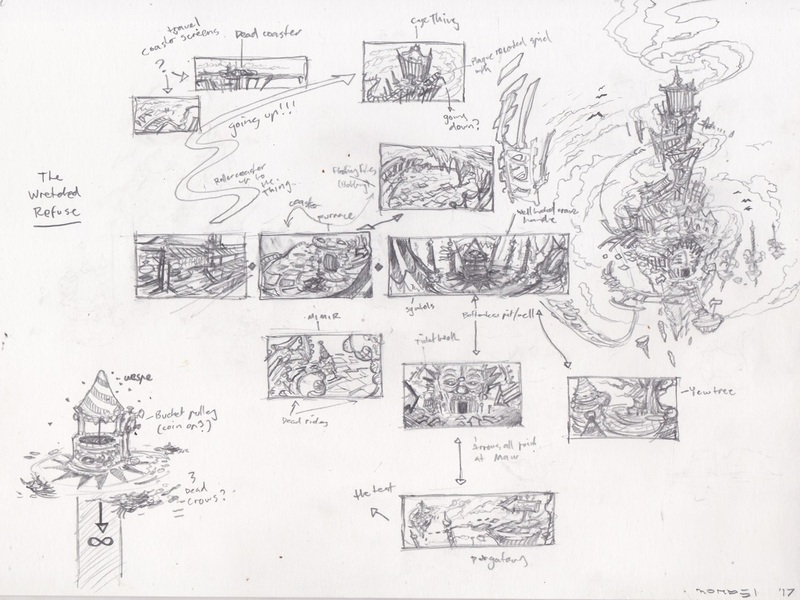 But there was a method to our madness, namely: (1) the hope that when the never-ending road to Fallen Gods was done, we could make another substantial adventure game in the spirit of Primordia; (2) the belief that making another smaller adventure game would keep our skills sharp and get our long-starved players appetized; and (3) the assumption that, since we managed to make Salt over a three-day span, surely we could make this new game—this Strangeland—in a week or two or, at most, three. Anyway, that was in May 2017. Now, in March 2018, Strangeland is nearly done, and we can unveil Vic’s lurid, feverish visions brought to life again by James’s code. There is still plenty of work left (testing, casting, polishing, more testing, bickering, etc. ), but we are well past the clunk-a-clunk-a-clunk uphill part of the roller-coaster and onto the omigod-im-going-to-die downhill part. As we bring the project to completion, we’ll be exploring publishing and distribution options, but our hope is to find a way to share it with as many people as possible. 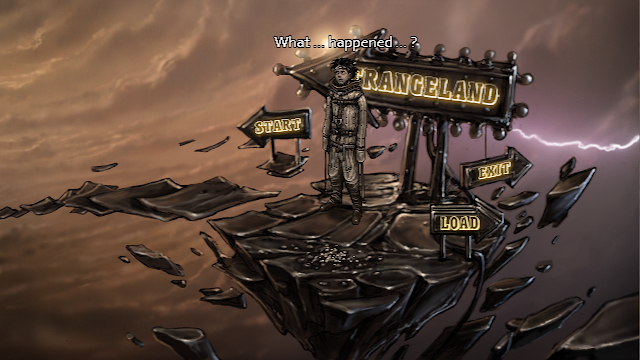 Strangeland is a smaller game than Primordia, but as with our last offering, we hope that it will hold some of the pain and dreams and fun that went into making it. Most importantly, we hope you enjoy the ride! 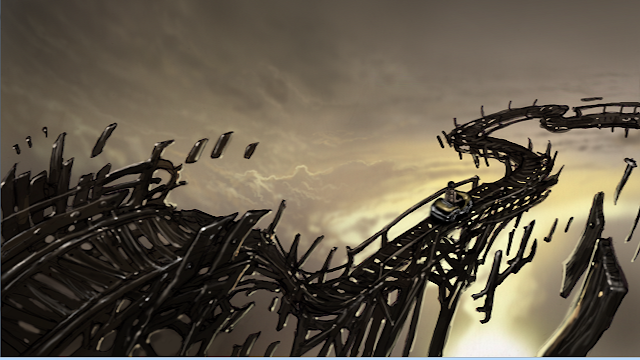 There was no convenient place to mention Strangeland’s audio design, which is a surreal saga unto itself. Suffice it to say, Vic has had the opportunity (and burden) to indulge his gift for music, foley, and circuit-bending. The result is a soundscape as haunting and surprising as his artwork, and a perfect complement to Strangeland’s visuals. Omg can't wait for this to come out! Yes! Going to play the hell out of this when it comes out. This look amazing, I'm so looking forward to this game! Thank! Hope we don't disappoint. There is a lot to be said about realities emerging from fragments. As always I am amazed by your ideas and that you get all this work done. I hope you have time for your family. I like to go into games as blind as possible so I haven't read the story teaser above but I will say that I am super ginormously extremely utterly on board for this art and music. I can't wait to explore this world. Primordia may just be the best game of all time, hope this one comes in second. Can't wait! Thanks! Hopefully we can live up to your high esteem and expectations! I just found this out! 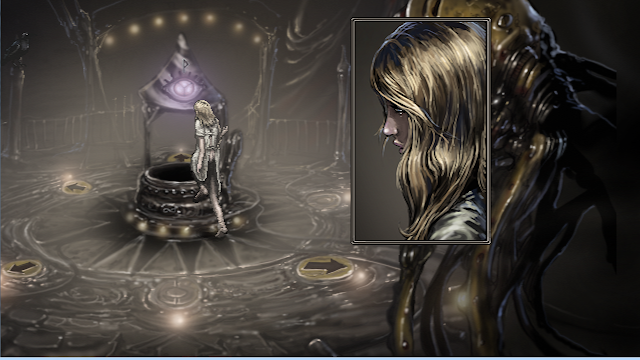 I love Primordia and this looks really great too! I hope you release it soon! 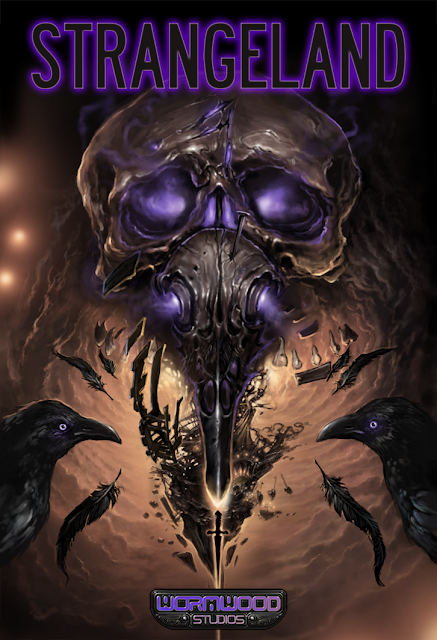 What inspired the world of Strangeland ?